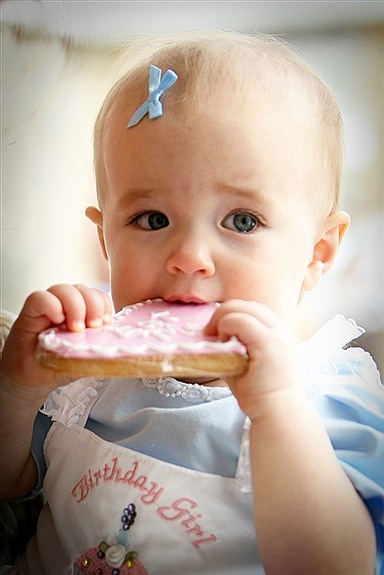 Edible Gifts Plus Caters Blakesly Sutter’s 1st Birthday Party! Edible Gifts Plus was excited and honored to provide custom baked goods for Blakesly Sutter’s 1st birthday party earlier this year. Blakesly is the beautiful daughter of The Bachelor’s hot celebrity couple, Trista and Ryan Sutter. 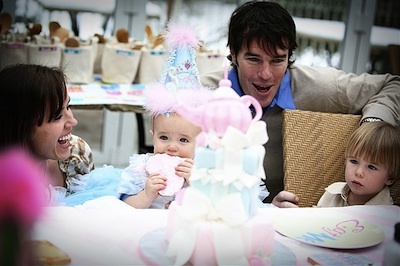 Blaksely’s very special birthday party was held on April 3rd. Edible Gifts Plus worked closely with Trista to create custom-designed, hand-decorated treats, including colossal Very Merry Unbirthday and Eat Me cookies to help create the Alice in Wonderland theme of the party. 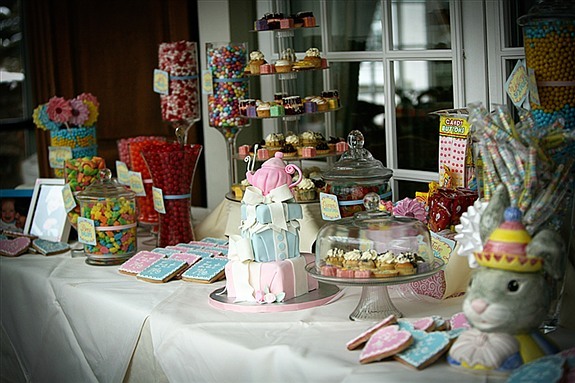 Edible Gifts Plus also provided mini sandwiches and petit fours, perfect for “Blaksely’s Wonderland”! Edible Gifts Plus was pleased to make Blaksely’s birthday extra special for the whole Sutter family and their guests! 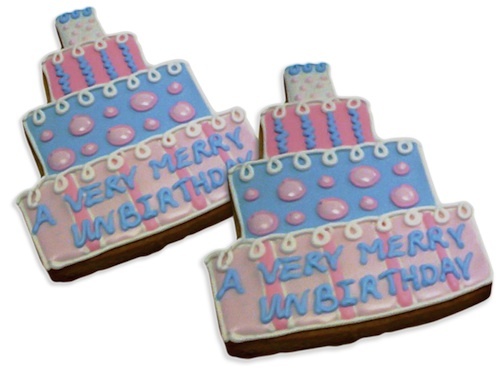 Check out our creative selection of fun and fabulous custom designed cookies! August 6, 2010. Tags: blakesly sutter, photo cookies, picture cookies, trista sutter. Uncategorized. Leave a comment.